If you’re using WordPress as the foundation of your eCommerce store, it’s probably because you value the platform’s flexibility and robustness, as well as the fact that its endless customization options give you the freedom to design a store that’s unique to you. And now that you’ve put so much care into developing that store, you need a WordPress payment gateway that will complement your work perfectly. If you’re looking for a gateway with the same high level of customization, flexibility, and functionality as your platform, there’s no better choice than BlueSnap’s WordPress payment plugin for WooCommerce. Why use BlueSnap as your WooCommerce WordPress payment gateway? 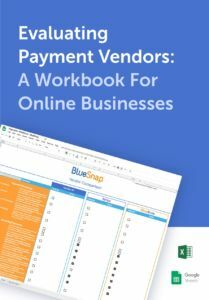 All your thoughtful, well-planned development efforts are bound to attract more shoppers, but will your payment gateway work overtime to close the sale? By choosing BlueSnap, you can be confident it will. You can ACCEPT more payments all over the world. BlueSnap’s WordPress payment plugin allows you to begin accepting international debit and credit card payments in 100 currencies. We also give you the flexibility to create whatever subscription plan types you prefer, so you can design packages most appealing to your customers. There’s nothing more appealing to developers than thorough documentation! Everything you need to know about how to build the ideal checkout experience with BlueSnap is in our Developer Hub. You can PROTECT more payments from fraud. To maximize your sales, we utilize a worldwide network of payment processors, which increases the number of transaction approvals. We also automatically route transactions to the banks most likely to approve them, and reroute them in the case of declines. Finally, our platform includes sophisticated fraud detection technology (developed by fraud-prevention industry leader Kount) that identifies and stops fraudulent orders and reduces false positive rates. You can ANALYZE payments with more detailed reporting. We offer more in-depth reports to help you reach your full revenue-making potential, like cleanse reports to help you identify higher-than-normal rates of declines due to fraud, chargebacks, and refunds. Many of our reports are accessible anytime, from any mobile device. In short, a single connection to BlueSnap has everything you’ll ever need to process payments throughout the life of your business. You can add and remove features as often as you like, for whatever your needs are at the time. We give developers the tools to succeed. We designed our plugin to be simple, straightforward, quick—and do-it-yourself! That’s why we provide thorough documentation of our WooCommerce integration on our website. You won’t have to talk to us if you don’t want to, and you can integrate in just a few minutes. Want to get started with a BlueSnap payment gateway for your WooCommerce store? Get the free plugin here to enable frictionless checkout today. Or, if you’re still not convinced that BlueSnap is the best WordPress payment gateway for your WooCommerce store, our team is always available to answer questions and consult with you about your needs. Simply contact us and we’ll walk through your options together!